An updated security plan for the Darke County Courthouse is being considered in light of a mandate from the Ohio Supreme Court. The plan could include establishing a single point of entrance to the courthouse manned by Darke County Sheriff’s deputies. 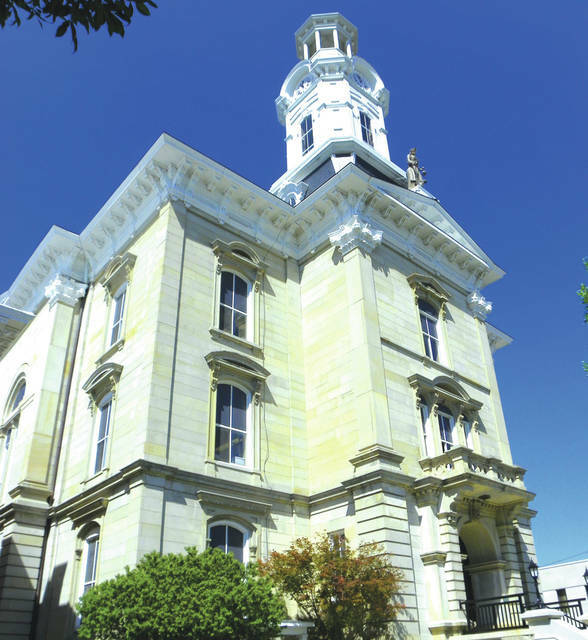 GREENVILLE — An updated security plan for the Darke County Courthouse is being considered in light of a mandate from the Ohio Supreme Court. At minimum, according to Ormsby, a new security plan likely would involve establishing a single point of entrance to the courthouse — probably near the back of the building — that would be manned by Darke County Sheriff’s deputies during business hours. These deputies would screen anyone trying to enter to make sure they’re not carrying any weapons. Other measures could include a centralized location equipped with video surveillance monitors where security personnel could observe events taking place on other floors and possibly a holding area for deputies to detain individuals caught trying to bring prohibited items into the courthouse. Increased security precautions are an important preventive measure, according to Ormsby. Judges working in the building will have first say as to what they think would be a reasonable security plan, Ormsby said. Then whatever measures are agreed upon would be paid for by the county commissioners and implemented by the Darke County Sheriff’s Office. Chief Darke County Probation Officer James D. Mollette also thinks increased security should be a priority. Just last week, Mollette said, a pre-trial defendant being supervised in connection with a burglary charge illegally left the premises following a routine drug screen. The man was quickly taken into custody outside the courthouse, but more centralized security could allow deputies to keep an eye on those in the building and to act quickly if they appear to be trying to flee. There are disagreements as to exactly what level of increased security is needed, according to Mollette. Prosecutor Ormsby said that new security measures might begin to be implemented as early as June of this year, though he’s not aware of any finalized plan that’s been presented to county authorities as yet. “But I don’t think there’s any question that a security plan is coming,” Ormsby said. This entry was tagged Courthouse, Darke County Courthouse, Darke County Sheriff’s Department, Darke County Sheriff’s Office, Ohio Supreme Court, security. Bookmark the permalink.